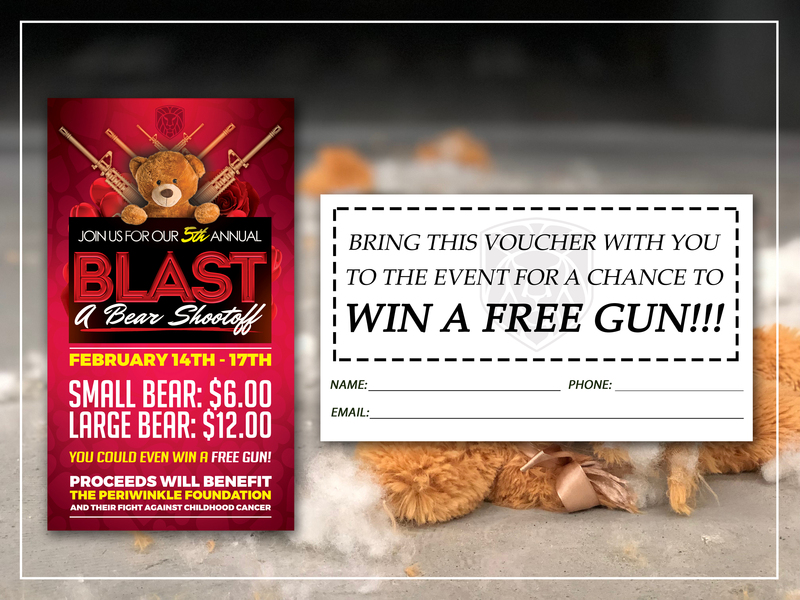 We are giving away TWO GUNS during this year's "Blast-A-Bear" shoot-off! 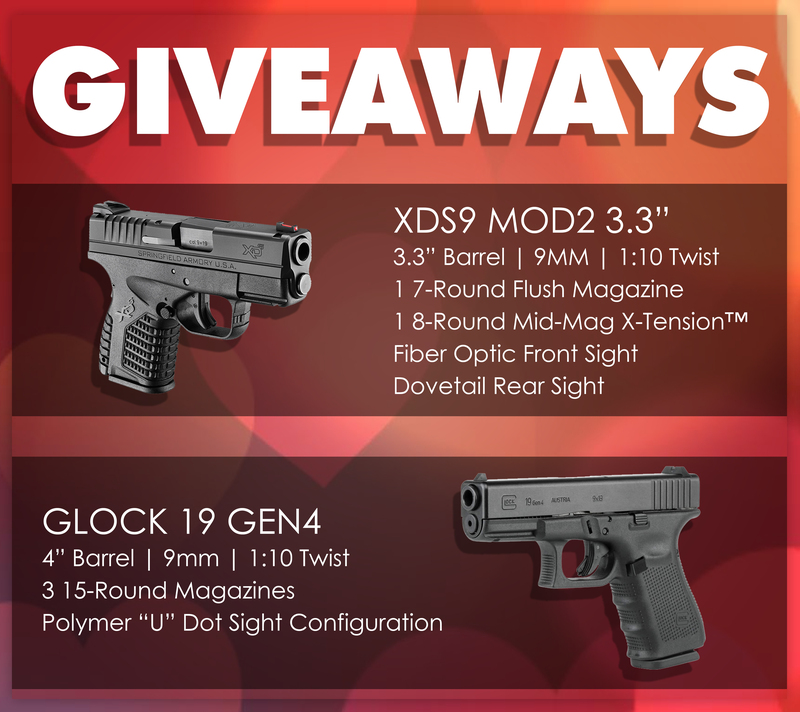 The firearms that will go to two lucky attendees are the Springfield XDS9 Mod2 3.3" and the Glock 19 Gen4! You can enter to win by redeeming our business card-sized flyers on the days of the event (February 14th - 17th). Don't have your giveaway flyer yet? 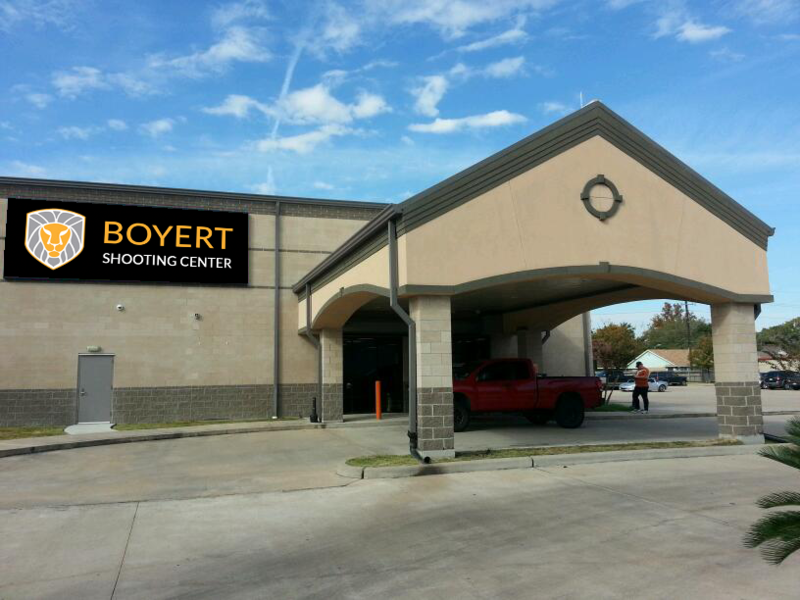 Come in before the event and receive one with a purchase in our store or range. Proceeds from this year's bear sales will go to The Periwinkle Foundation and their fight against childhood cancer! We could use all the support we can get to help raise money for this amazing foundation! 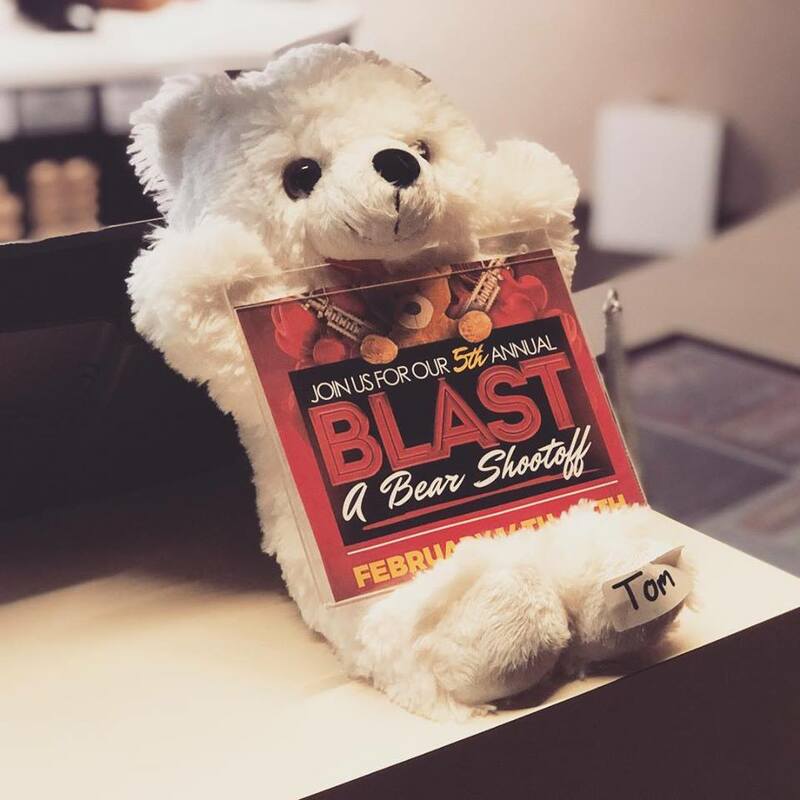 Click here to learn more about our 5th Annual Blast-A-Bear event!